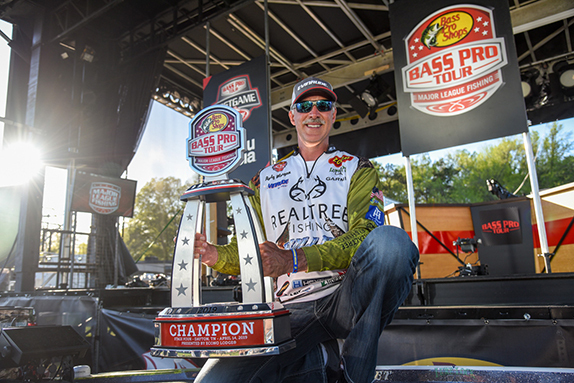 Anthony Gagliardi is excited to start a new chapter in his career on the Bass Pro Tour. Anthony Gagliardi was helping clean up damage that Hurricane Florence did to his dad�s beach house in North Carolina when the call came unexpectedly back in mid-October. It was another angler calling to gauge his interest in and formally invite him to join the newly-formed Bass Pro Tour. Gagliardi had been following the hoopla surrounding the launch of Major League Fishing�s new tournament series, but he never considered himself a realistic target for an invitation. Little did he know that after Gary Clouse and JT Kenney withdrew from the BPT � Clouse accepted an invite to the Elite Series while Kenney opted to take a position as a BPT broadcast analyst � two spots in the field of 80 opened up and he and fellow FLW Tour competitor Jeff Sprague were the next to receive invites. 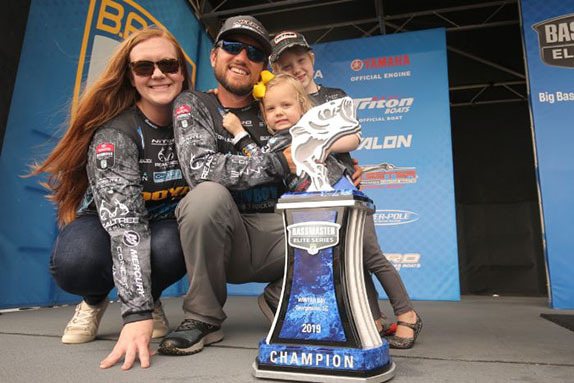 After a day of mulling over his options, the Clemson grad with an FLW Tour Angler of the Year title (2006) and Forrest Wood Cup triumph (2014) to his credit decided a change of scenery was the best option for him. So, too, did the Sept. 20 letter to anglers from FLW management in response to an angler petition requesting additional enhancements to the 2019 Tour program as a means to counter the BPT�s launch and changes B.A.S.S. made to the Elite Series entry fees/payouts for the 2019 season. �As a result of these changes, we�ve been asked how FLW is going to respond, and the answer is: We aren�t,� the letter read, in part. Gagliardi said the letter�s tone didn�t sit well with him and the timing of the BPT invite allowed for a fresh start elsewhere. �I�ve fished the same format forever,� he said. �I�m ready for a change maybe and looking forward to something a little different. As happy as I was with FLW and I fished whole career there, the Major League stuff felt like it was on the forefront and I felt FLW was going to be reactionary. I wanted to be on the forefront. That�s not a slight on FLW. It is what it is. It�s a great tour and I made my career there. Gagliardi has followed MLF events since it debuted in 2012 and he thinks the BPT will be able to build on its success. When the BPT was first announced, Gagliardi took the news like an avid fan, but also wondered what it could mean for him. �I wouldn�t say I was shocked by it because I felt like something was coming,� he said. �It was definitely intriguing. I knew the format from watching the MLF stuff. I had mixed feelings about it because I was like �What�s it mean for me?� At same time, there were feelings that as far as the sport, I was excited for the sport because it proves and shows the sport was progressing and moving forward. I didn�t know what it would mean for me personally, though. He said he had casual conversations with some anglers who�d been among the first 80 invited, but said he never lobbied for an invite. The move to the BPT may be coming at an opportune time for Gagliardi, who banked more than $2 million during his 18 years in FLW competition. 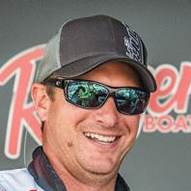 While he�s never competed in an MLF event, his experience as a contestant on Ultimate Match Fishing gave him a taste of the fast-paced, think-on-your-feet kind of fishing that most believe will be prevalent across the BPT. In making the decision to join the BPT, Gagliardi weighed various pros and con, chief among them was the format. Field size, however, was probably the biggest factor in his mind. For two decades, he�s competed against fields approaching 180 boats and had a co-angler in his boat his entire career. In BPT events, there will never be more than 40 boats on the water at one time and he�ll be accompanied by only a boat official (and a cameraman at times). 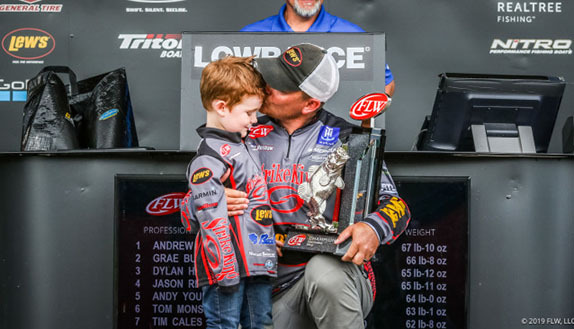 It�s been more than five months since the FLW Tour regular season wrapped up at Lake St. Clair, where the smallmouth fishing was as good as it�s ever been. The season finale, however, was the last in a string of forgettable performances for Gagliardi, who carded three finishes of 135th or lower over the final four tournaments of the 2018 campaign. It was an uncharacteristically poor finish to a season that started with three top-50 finishes, including a top-10 showing at the Harris Chain of Lakes. When the calendar flipped to April, he found himself 9th in Angler of the Year points with four tournaments remaining. Making a run at a second career AOY title was a realistic proposition. 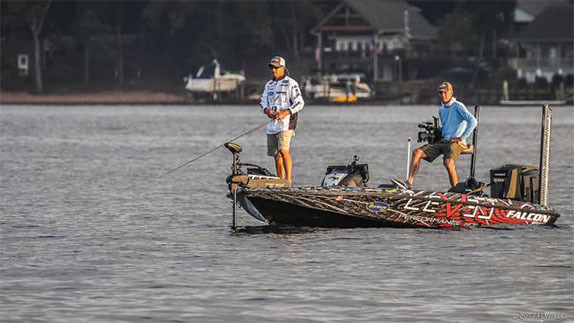 Then came a 136th-place showing at Lake Cumberland, a venue where he�d finished 10th two years ago, and a 135th at Smith Lake two weeks later. A 75th at Kentucky Lake was followed by a 146th at Lake St. Clair. He wound up 69th in points, the second-lowest showing of his career. Gagliardi says he hasn�t given much thought to the notion that it likely will be the last FLW Tour event he�ll compete in. It�s clear he�s put considerable effort into putting the last season out of his mind, but with January just around the corner, he�s starting to get the itch again. N/A -- B.S., mechanical engineering, Clemson U.
Larry Nixon - "From when I was little, he was the one person who stood out." Lake Champlain (NY/VT) - "I've only been there once, but we had a blast. There's so many fish in it." Old Hickory (TN) - "I just never catch them there. I haven't gotten a check there yet." Father - "He's given me a lot of support, and has made it possible for me to do what I want to do." "I like to play golf and spend time with my wife." "I really love the competition. I love the fishing part as well, but I'm competitive by nature."